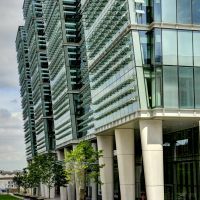 A guide to container planting, covering all essential requirements for the successful planting of a typical commercial planter installation. 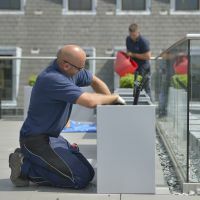 Bespoke powder coated steel planters are commissioned for two roof terraces as part of the redevelopment of Grade A offices in the heart of St James's, London SW1. 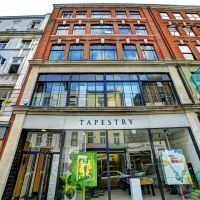 Bespoke powder coated steel planters are commissioned for the roof terrace of the media production agency Tapestry, Frith Street, London W1. 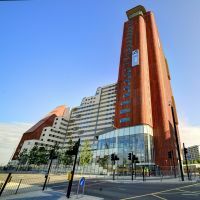 Large bespoke granite planters are commisioned for UNITE’s new 28 storey student accommodation development adjacent to the Olympic Park in Stratford. 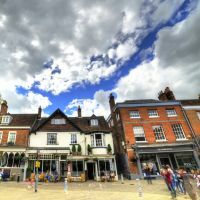 Granite Taper 1100 planters create a strong planted statement, and help unify the look of this historic plaza next to Winchester Cathedral. 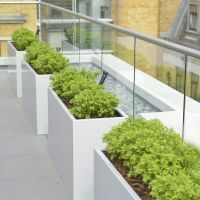 Boulevard planters are selected for Berkeley Homes’ exclusive Wimbledon Hill Park development. 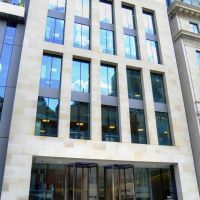 Custom-coloured Boulevard planters are commissioned for Savills’ new global headquarters in London. 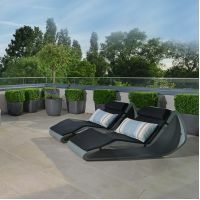 An insight into the production process for Boulevard planters and outdoor furniture in Fibre Reinforced Cement [FRC]. 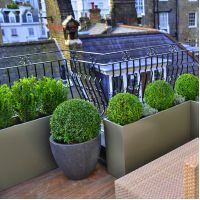 Bespoke powder coated steel planters are commissioned for a townhouse in prestigious Hans Place, Knightsbridge, London.